If you haven’t printed it yet, that nice high-value coupon to save $1.00 on any ONE (1) 64 oz. 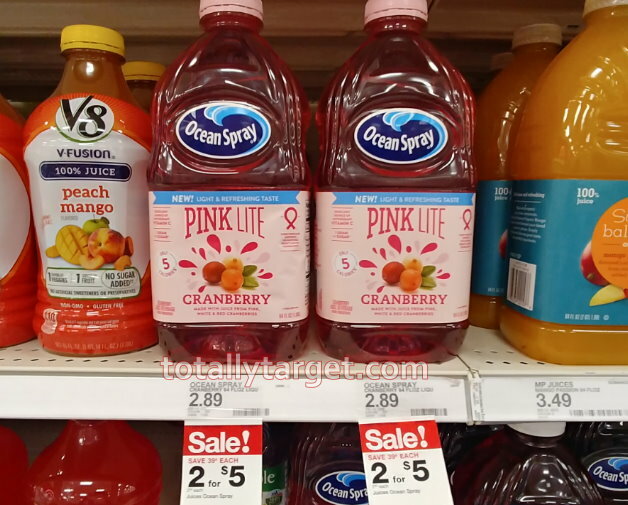 Bottle of Ocean Spray Pink Cranberry Juice Cocktail is still available. We have a new super high-value cartwheel offer to stack, plus a sale thru 3/16 to make for a great deal….